Genetic Analysis of some Crosses for Yield and its Components and Earliness in Pea (Pisum sativum L.). Crosses among six pea cultivars viz., Master, Entesar 1, Little Marvel, Entesar 2, Palmoral and Jaguar were achieved. 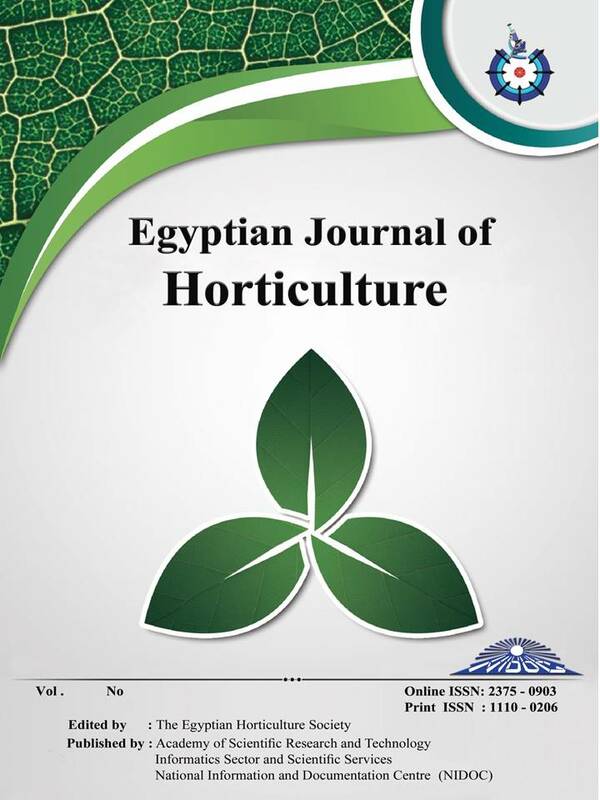 The investigation was carried out at the Sids Horticultural Research Station of the Agricultural Research Center, Beni-Suef Governorate, during the three winter seasons of 2015/2016, 2016/2017 and 2017/2018. Fifteen crosses were made between the parents. The recorded measurements were plant height, number of days to flowering, pod length, pod width, number of seeds/pod, weight of 100-seeds, number of pods/plant and weight of pods/plant. The parents of Entesar2 and Entesar1 showed the best mean performance followed by Jaguar for the most studied traits. The cross combinations of Entesar1 x Entesar2, Entesar1 x Master and Entesar1 x Little Marvel showed the best mean performance for the most studied traits. The F1 hybrids of Master × Little Marvel, Little Marvel × Master, Entesar1 x Entesar2, Entesar1 × Little Marvel, Little Marvel × Entesar1 and Master × Palmoral exhibited a heterosis for the most traits. The obtained results of mean performance, heterosis and potance ratio demonstrated that the hybrids of Master × Little Marvel, Little Marvel × Master, Entesar1 x Entesar2 and Entesar1 × Little Marvel are the best hybrids. Plant height, number of days to flowering, pod width, pod weight and number of pods/plant were positively and significantly correlated with pod yield per plant, which are of great importance as selection criteria for yield improvement of pea.These findings can be utilized further in selection programs to enhance the yield potential of pea genotypes.